The end of the season has bought personnel changes to Neudorff UK with a long-serving member of staff retiring and another taking on extra responsibilities. After being a key part of the Neudorff team since it launched in the UK in 2013, Southern Area sales manager Lee Squires has retired. 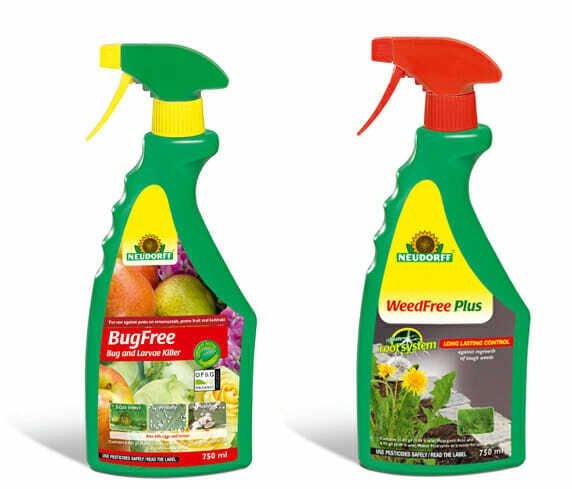 Lee helped establish and grow the Neudorff brand in the south of the UK, generating a huge amount of new business including garden centre groups. “Lee has been a great advocate of Neudorff, bringing energy, enthusiasm and passion to his role, building excellent and long lasting relationships along the way. Lee is well respected amongst our customers and our UK and European teams and we wish him all the best in his retirement,” said Jude Beharall, Neudorff’s sales director. Lee plans to spend his retirement pursuing his interests in archaeology and fishing. Other personnel changes within the company include operations manager Tony Loftus, taking on a sales region close the UK office, which will include the Birmingham city and metropolitan areas, Staffordshire, Shropshire, Worcestershire and Warwickshire. For more information visit www.neudroff-trade.co.uk or call 0121 767 1821.